Insurance gives protection and the house that protects you should also be protected likewise. Your house may have changed many hands over the past years, irrespective of the fact that it is new or old. To ensure that the documents were not mishandled in any way you must check the insurance of the title to save all troubles. You may know some of the common problems that are associated with the title of a property like having errors in the record entry in the registers, boundary issues generated from improper surveys, undiscovered will and missing heirs but the problems are not limited only to these. Therefore to have ready solutions to the potential problems it is important to have and check the owner’s Title Insurance which is an important document that offers you many benefits. This insurance protects you form and covers all the defects which may arise with regards to the title at any point of time. As the ownership of the specific property might have changed and all the owners may not have been so precise with the documentation of the property, there may be some defects and errors in the title deed. Any small defect must be detected and solved and it is therefore advised that you always consult a property lawyer before striking any deal regarding real estate. When a property has the title insured properly it protects you from any loss due to the defect in the title. It comes to your rescue as it pays all the fees for the attorney and the court proceedings which might have been necessary for the solution of the defect in the title. Not only that, a title search and an insurance of the title also protects you from other title defects which are covered and are associated with your specific property. Therefore, you are advised to buy an owner’s policy for the title insurance to protect you from any catastrophic calamities. Such type of insurance has one time premium payments and you enjoy the benefit of it for the lifetime. You may also enjoy a discount when you purchase such an owner’s policy along with a mandatory policy for lenders. The lenders policy will terminate once the tenure of the loan ends but the owner’s policy goes on forever. 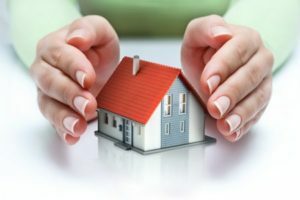 Therefore, whether or not you adjust your Title Insurance policy to your property, it always protects you throughout your life. Therefore, whether or not you adjust your Title Insurance policy to your property, it always protects you throughout your life. This entry was posted in Property law and tagged Title Insurance, Title Insurance Policy, Title of a Property, Type of Insurance. Bookmark the permalink.